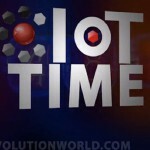 In this episode of the IoT Time Podcast, Ken Briodagh, editorial director at IoT Evolution, sits down with Dev Bhatia, Senior Director, Product Management, CalAmp, to talk about vehicle telematics, LoJack (which CalAmp acquired this year), security, and the future of connected transportation. To sponsor IoT Time, please email kbriodagh@tmcnet.com or tweet @KenBriodagh. In this episode of the IoT Time Podcast, Ken Briodagh sits down to have an argument with Carl Ford, CEO, Crossfire Media.